Carole Wacey joined Women Creating Change as President and Chief Executive Officer in November 2017.  From the outset, she has been focused on evolving WCC to be inclusive, impactful, relevant, and innovative. Carole undertook an intensive strategic planning process–assess WCC’s history and identify opportunities to meet the needs of an evolving City at this point in our nation’s history. Carole has led a comprehensive planning process that has included a historical review, surveys of membership, meetings with key partners (past and prospective). Carole Wacey served as Vice President, Education at WNET since December 2012, where she focused on technology, interactive media, youth development and underserved youth. Carole served for ten years as Executive Director at MOUSE, a national nonprofit organization that empowers underserved youth to learn, lead and create with technology. Prior to joining MOUSE, Carole was the Director of the Interactive Media for Children program at the Markle Foundation. Under her leadership, the IMC program worked to help realize the potential benefits of interactive media for children by building partnerships between industry, the academy and consumers. Before joining Markle, Carole was Deputy Director of the Office of Education Technology and Senior Policy Advisor at the U.S. Department of Education. In that capacity, she provided leadership for the Clinton Administration on the development and implementation of national educational technology policy and program development. She addressed issues such as telecommunications, the digital divide, Internet safety, privacy, and e-commerce. Carole, a Queens resident, received her B.A. in Economics from the American University, and her J.D. from Vermont Law School. She has also studied public international law at Oxford University, and Leadership at Yale University. Nicole Barsamian is a seasoned communications professional and founder of Barsamian Communication, a creative communication company that produces cutting-edge campaigns, content and design. Nicole helps clients position their brands and clearly and compellingly tell their stories in order to affect positive social change. Over the span of more than two decades, Nicole has been a strategic communications counselor to some of the country’s leading foundations, corporations and non-profit organizations, including: the Robert Wood Johnson Foundation; the Centers for Disease Control and Prevention; the National Alliance on Mental Illness; Kaiser Family Foundation; Johnson & Johnson; the National Minority AIDS Council; the Coalition Against Trafficking in Women; the National Ovarian Cancer Coalition; and Women’s City Club of New York (where she has served on the board). She has led national, grassroots, and multi-cultural marketing/communication campaigns and educational programs, and has written, designed, and directed creative content (digital, print and video) to support these efforts. Before founding Barsamian Communication, Nicole advised clients at Ogilvy Public Relations and also was Senior Vice President at IssueSphere/Nelson Communications which was acquired by Publicis. A graduate of American University in Washington, DC, she holds a Master’s Degree in Urban Planning from New York University and also studied at the University of International Business and Economics in Beijing, China. Anya Berdan is WCC Member Manager. In this capacity she develops and implements strategic direction for the organization’s growth within the membership area. She ensures a professional and efficient member services operation supporting the missions and vision of the organization, and works with other staff members and leadership to ensure development and continuous growth of programming for WCC members. Anya was born in Tashkent, Uzbekistan. Anya and her family emigrated to the US as political refugees one year before the fall of the U.S.S.R. Anya earned her B.A. in Communications from Hofstra University, and is a recent graduate with an M.S. in Nonprofit Management from The New School. Prior to joining WCC, she had spent over 10 years engaged in project management and administration in the corporate field. After calling Queens her home for over 15 years, Anya is now a converted “Brooklynite,” and lives in Greenpoint with her husband and cat. Peter Fidler, President and founding partner of WCA Technologies has more than 30 years of Information Technology experience working with Not for Profit, Legal and Financial organizations. Peter began his career as an Analyst with the New York City Office of Management and Budget. It is at this government agency that he met coworker and fellow IT professional, Warren Eng. Fast forward 30 years later, Peter and his partner, Warren Eng, continue to manage WCA Technologies – an IT Support, IT Consulting, and Managed IT Services company located in midtown Manhattan. Most of WCA’s original clients are still doing business with them today. WCA attributes its success and longevity to core business values, including: forging a lasting partnership with clients, commitment to excellence when troubleshooting client issues, serving and acting on behalf of clients’ best interests. Their roster of clients is diverse – law firms, non-profits, financial companies, small to medium-sized businesses throughout the Tri-State area. Follow them on Twitter, LinkedIn, and Facebook to learn more. As a native New Yorker, Peter takes pride in solidifying and building a network of local partnerships. He currently sits on the New York City Board of the IAMCP and is a member of the Ingram SMB Alliance, and HTG Peer Group. Peter has an MBA in Finance from Fordham University and B.S. in Marketing from Bentley University. When he’s not creating IT business solutions, Peter enjoys yoga, cooking, and attending Giants football games. Natasha Goldstein is Founder and Managing Director of The Accountkeepers, a 100% women-owned and operated firm that acts as the outsourced accounting department for other organizations. We typically manage all day-to-day accounting and financial statement preparation for our clients, as well as bill payment, sales invoicing, and payroll management. We pair experienced accountants with technology to automate bookkeeping data entry, which increases accuracy and reduces cost. Natasha has spent more than a decade in corporate finance, social impact investing and social entrepreneurship. Prior to founding The Accountkeepers from 2013 to 2017 Natasha was Managing Director & Chief Financial Officer of MCE Social Capital, a $60 million global social investment fund focused on improving the lives of low-income women in rural areas. At MCE Natasha was responsible for raising approximately $20 million dollars in impact investment capital annually, as well as all financial and operational aspects of the fund. From 2012 to 2013 Natasha served as Finance Director at Hot Bread Kitchen, a commercial bakery providing on-the-job training to immigrant women in New York City. In 2010, Natasha founded LIFT Investments, a social enterprise focused on business development and skills training in Nairobi, Kenya. Earlier in her career, Natasha worked at UBS Investment Bank as an investment banking analyst, where she focused on multi-million and billion dollar cross-border mergers, acquisitions, and equity transactions. Natasha has a Bachelor’s of Commerce degree with a major in finance from Queen’s University in Ontario, Canada and a Masters of Public Administration focused on economic development from Columbia University. Natasha is also a regular public speaker and lecturer on launching social ventures, entrepreneurship, impact investing and social enterprise. Venues have included Harvard University, Columbia University, and the University of North Carolina. Lastly, Natasha teaches a course on impact investing and social entrepreneurship at Columbia University. Alycia is a Brooklyn-based freelance photographer who works closely with Women Creating Change, documenting their myriad events and initiatives. A native Vermonter, Alycia travels extensively for work and pleasure. She has taught in China and the West Bank, and photographed people and places extensively in Europe, South America and Asia. Her work explores the intersection of public and private, focusing on genuine emotion and intimate moments. She is fluent in French and Spanish, and conversational in Arabic. Through her images Alycia seeks to bring people from different walks of life together by evoking universal sentiments and conveying unique experiences. She believes strongly in the mission of the Women’s City Club, and her work with them increases awareness of important issues and serves as a vital visual link of communication. You can view her personal work at Alycia Kravitz. Anna Makogon joined WCC in March as a Research & Public Policy Fellow. Anna is originally from Ukraine and graduated with honors from Baruch College in 2018 with a dual degree in Public Affairs and Psychology. While in college, Anna developed a passion for civic engagement when she interned for New York City Councilman Alan Maisel and worked for New York State Senator Terrence Murphy. These experiences enabled her to engage in policy research on subjects such as voting, gender equity, human rights, and education, as well as assist constituents with community issues. Anna is a new mom and has joined WCC on part-time basis to advance civic engagement in New York. Anita’s involvement with WCC began when she served as a Public Policy Intern where she assisted with the publication and distribution of the Citywide Guide to Services in Resources. Following this internship she served as a Research and Public Policy Fellow where she managed the evaluation of the Citywide Guide and took on other administrative and policy based responsibilities. Anita also served as intern with United States Congressman Joseph Crowley of New York’s 13th District where she assisted constituents with their casework regarding immigration, housing, and workers’ rights. In addition, Anita interned with Suffolk County Legislator, Sarah Anker’s office where she worked with staff on day—to-day tasks, and wrote press releases, and mailings that were later distributed to Legislator Anker’s Constituents. Anita received a B.A. in Political Science from Stony Brook University. Senior Vice President - Wealth Management, The Samson Group - UBS Financial Services Inc.
Lee received his bachelor’s degree in finance from the University of Maryland in 1994 then began his professional career in the financial services industry at Advest Group Inc. (Merrill Lynch), later transitioning to CIBC Oppenheimer. In 2007, Lee joined UBS Financial Services as Senior Vice President at the 1285 Avenue of Americas office in New York City. One year later, he attained the title of Wealth Advisor from the UBS Business University. Only those Advisors who complete the initial rigorous accreditation program and ongoing development sessions, consisting of in-depth training on a range of financial topics, earn and maintain this designation. With more than two decades as an investment manager, Lee has gained critical insight into investor behavior and market performance and built a strong reputation for delivering customized investment solutions to high net worth clients. His areas of focus include investment portfolio construction, asset allocation, risk management, manager selection, retirement planning, and wealth preservation strategies. Lee’s expertise has led to recognition as one the top financial advisors nationwide by multiple financial publications, most recently the Forbes Best-In-State Wealth Advisors List for 2018. Outside of the office, Lee participates in a number of philanthropic efforts and is an active mentor at American Corporate Partners, an organization that aims to assist recently returned veterans as they transition from the military to the corporate workforce. He lives in Summit, New Jersey, with his wife Kristin and two children, Ben and Abby. Stephanie is WCC’s Policy and Programs Manager. Prior to joining WCC, Stephanie worked in city government for the New York City Council and the New York City Mayor’s Office, as well as in philanthropic organizations, non-profit programming, and local campaigns. Passionate about gender equity and voter mobilization, Stephanie also co-founded a new political organization that is committed to electing more women to public office in New York. She received a B.A. in Political Science from Providence College and is currently pursuing a Master’s in Public Administration from the Robert F. Wagner School of Public Service at NYU. Stephanie also spent a year studying policy at the London School of Economics & Political Science. Originally from central Connecticut, she now calls Park Slope home. Jeff Simmons, Executive Vice President, Anat, has more than three decades of experience in private and public sector communications, media, and journalism. Well-networked in New York City, Jeff most recently served as Senior Vice President for Communications at the Alliance for Downtown New York, the country’s largest Business Improvement District. Accomplished at leading long- and short-term communication initiatives, Jeff has designed strategic public relations and constituent outreach campaigns, tackled crisis communications, and overseen free and paid media campaigns. He previously ran communications for New York City Comptroller William C. Thompson, Jr., and served as campaign advisor to Thompson in 2009 and as his reelection Campaign Manager in 2005. A born and bred journalist, Jeff spent 17 years as a reporter, working at The (Bergen) Record of Hackensack, New York Post, New York Daily News, and New York 1 News. A New Yorker for nearly two decades, Jeff lives with his partner and two Brussels Griffons in Queens. You can follow him on Twitter and Instagram at @JackHites. Senior Advisor, Partner, CFP, Bridgewater Advisors Inc.
Bridgewater Advisors Inc. is an independent, private wealth advisory firm dedicated to helping clients achieve their personal and financial goals. Our approach is objective, disciplined, and tailored to each client’s specific needs. Our fee, based on assets under management, is our only compensation. Clients know we always put their interests first. A partner and senior advisor, Jane received her BA in art history from Williams College, and then earned a masters in art history from NYU’s Institute of Fine Arts and a certificate in conservation from NYU’s Conservation Center at the IFA. She worked as an art conservator, and as a Montessori teacher, before shifting gears and getting her MBA at Clark University. After four years at Merrill Lynch, she realized she wanted to join a fee-only RIA and found a home at Bridgewater.